STORM LAKE, Iowa (AP) — Some Democratic presidential candidates expressed support Saturday for the Nevada political candidate who alleged former Vice President Joe Biden kissed her on the back of her head in 2014. But they didn’t say it disqualifies Biden from joining the race. Speaking to reporters in Iowa, Massachusetts Sen. Elizabeth Warren and former HUD Secretary Julian Castro said they believed Lucy Flores. She wrote in New York magazine that she felt uncomfortable with her interactions with Biden. Warren and Castro said it’s up to Biden to decide whether he should join the race. 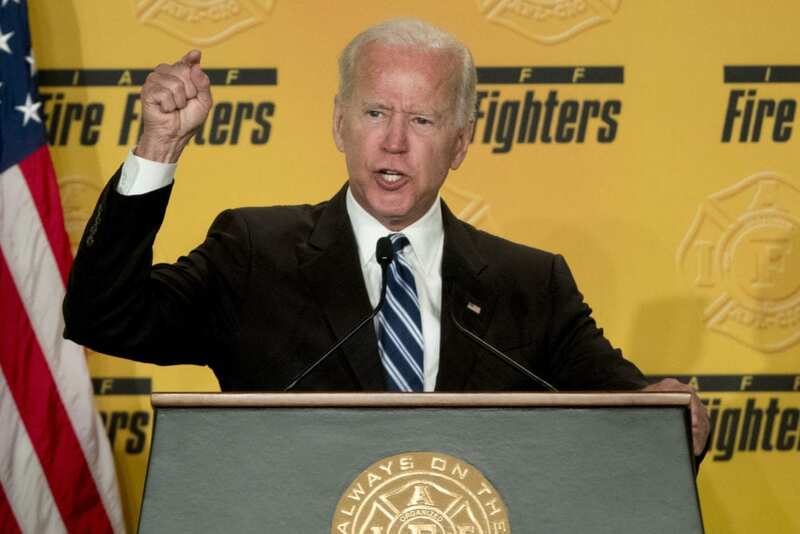 Biden spokesman Bill Russo said in a statement that Biden doesn’t remember kissing Flores. Be the first to comment on "Former Vice President & Possible 2020 Candidate Joe Biden Accused Of Inappropriate Behavior With Female Democrat Candidate"